Utah Cutthroat Slam | Utah Cutthroat Slam is Here! 30 Mar Utah Cutthroat Slam is Here! 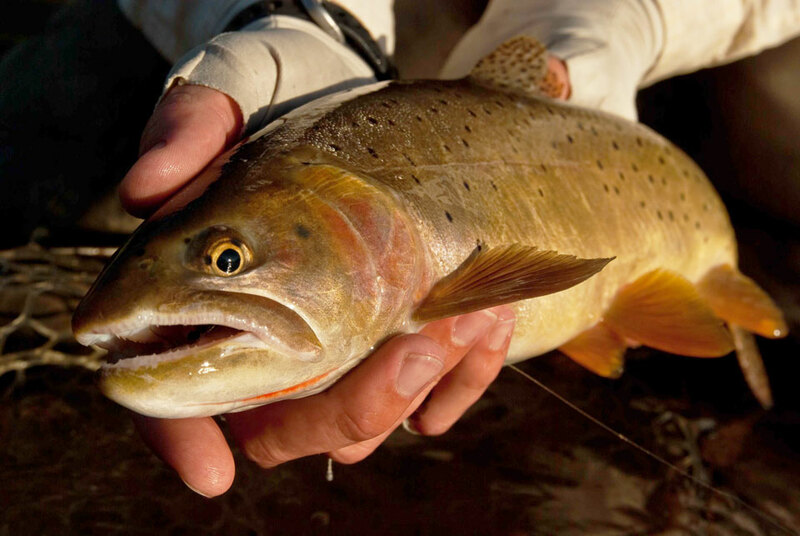 Trout Unlimited and the Utah Division of Wildlife Resources are happy to announce a new program to help educate and support Utah’s wild and native cutthroat trout populations. The Utah Cutthroat Slam is an opportunity for anglers to prove their metal, while having fun and helping to support our native cutthroat trout. The program consists of a challenge to catch the 4 unique cutthroat trout subspecies native to parts of the state. These subspecies are the Bonneville cutthroat, Colorado River cutthroat, the Yellowstone cutthroat and the Bear River cutthroat. In order to help support conservation efforts for these native fish the program asks for a registration, including a $20 entry fee for adults and $10 for kids under 18. Registration is just like buying a license and can be done on the Utah Division of Wildlife website or at any Utah fishing license retailer. Anglers who complete the challenge are provided with an official Utah Cutthroat Slam medallion, recognition here on the official Utah Cutthroat Slam website, an official certificate of completion, along with of course the bragging rights of having accomplished something most Utah anglers won’t ever get the chance to do. Funds raised from the program will go to support conservation efforts to help protect and restore habitat and cutthroat trout populations. In addition to sharing in the conservation rewards, this is an incredible opportunity to get out and explore many parts of the state and many waters that most Utah anglers never see. We couldn’t be more excited to see your pictures and hopefully to run into a few of you out on the water.